1. Why self drive in Kyushu? Kyushu Island is located at the southern Island of Japan, about the size of Taiwan. It is one of the best places to do self-drive in Japan. Driving in Kyushu Island is similar to driving in Australia, the roads are quite spacious and not many cars. If you are the first time and don’t know where to start, you can try out Kyushu Japan. In total there are 7 Prefectures in Kyushu, you should be able to cover within a week. 2. Who should do self Drive? If you have a pax of 4 and above or have young children and grandparents, it is wise to rent a car and drive around freely. It is harder to do free and easy with young and old in the family, I can’t imagine how you going to bring all the luggage from the Japan train station platform, some do not have the elevator, only stairs. 3. Cheaper Cost if you have pax of 4 and above! Self Drive is cheaper than going with the big group of a tour. Check out the price at rentalcars.com . It depends on what kind of car you are renting. A normal 5 seater Mazda 3 sedan cost less than USD 70 per day. There are cheaper or more expensive car depends on your needs and budget. Taxi cost a bomb and train and subway and buses are not cheap in Japan. See the thing you want to see! Eat the thing you like to eat! Plan your own date of travel! Choose your own hotel depending on your budget and liking! You can stop anywhere and anytime you feel like. Plan your own routes. You won’t be dragged to shop if shopping is not your thing. If you are on a package tour, you have no choice but to follow and spend hours in the shopping area. You can try out any food in any restaurant at any time if you have the flexibility of your own car. 5. Go to places that local people usually go! You get to shop at the shopping center or supermarkets which local people go, prices are normally cheaper and more variety and more authentic stuff you get. We stop daily to get our stuff at the supermarket, be it snacks, drinks, food & souvenirs! Some other hidden gem which tour coaches can’t reach you can always do it with self-drive. Umi Jigoku/ Sea Hell – biggest and color is cobalt blue, most recommended! Steam your own dinner at Jigokumushikobo – must Try! Was there any female samurai? Hakata Ramen – popular noodles in the southern island of Japan. The broth is made from pork bones called kurobuta or black pork. Champon – Try Nagasaki Champon, originated from Chinese students who studied in Japan during the Meiji era. Similar to ramen. Karashi Renkon – Kumamoto specialty, the dish made by filling the holes of lotus root with a mixture of Japanese chili, miso, and dry roasted bean curb lees, then deep frying the lotus root. Ika Shumai – squid dumpling from Saga Prefecture. Tonkatsu – Tonkatsu is a staple dish in Japanese cuisine but tries in Kagoshima as it uses Kurobuta or black pork – after deep fried, you will experience the crisp texture, softness and strong taste. Dessert – Ikinari Dango is a red bean mochi. Driver seat on the right-hand side, same as all commonwealth countries. Get ready your international driving license from your home country. Get your mobile roaming plan, in case you need to use google map from mobile phone or GPS is not working properly. If you have GPS, it is always wise to bring your own in case car rental company does not provide. Note, not all car rental company has GPS. I have affiliate program with the following booking website, so please click at your preference booking website here to check the hotels or airbnb you like to stay for your Japan Kyushu Island trip. What a great travel guide. I’ll need this when I go to Japan. I am glad it is helpful for you in the future. I think self driving can be a great idea, mostly because you end up really experiencing the whole trip in another way… You get to interiorize the place and the roads and it’s just way cooler! Thanks for your comment. Self drive will bring you to the place you wanted to go faster. Driving is easier in Kyushu island Japan as compared to Tokyo. Similar to driving in Australia ! Thanks for sharing this! I will keep this post in mind if I ever plan on traveling to Kyushu Island. Hope you will enjoy when you visit one day! You really highlight such an amazing trip especially for those trying to save on funds. You have so many place listed to travel too even in 8 days. I hope it work as some guide to the reader. Thank you for your time in commenting here! I want to go to Japan so badly! These places are all so beautiful. It’s definitely best to self drive and see things at your own pace. What a great travel guide. I’m a big fan of self driving instead of taking tours. Thank you for your comment, I totally agree with you self drive can bring more joy and more freedom! What a great guide! I often find that there’s so much more to see, do and explore when you rent a car at your travel destination. Very beautiful pictures you have taken here. The landscape is a dream. I also love the buildings. Have a great day! Thanks you for your kind comment. I love Kyushu Japan landscape too! I love road trips! they are always a great way to discover a country and see what you would usually not see in guided tours! That’s right, some of the places may not be able to reach by the guided tours. You have more flexibility! Fabulous travel guide! I like that you can go st your own pace and tailor it to your needs and what you want to see. Totally agree, this is the guide for your reference and you can tailor to your own need. i am always fascinated by road trips. Through the road trips you can not only just travel but also explore the culture and food too. Great guide. Thank you for your comment. I hope the Kyushu round the Island road trip will help other see Japan, other than just Tokyo city. I hope you will find a good driver at least to partner with on the self drive road trip! I would not mind driving in a place like this. Hopefully the traffic would be less crazy than in New York since you said there are not that many cars there. Thank you for your comment. The drive is pretty easy and smooth in Kyushu Island, unlike any big cities. So many great tips! We also opt frequently for renting a car when we go visiting as with young children is way more practical! Such a beautiful place it is, Japan is on the top of my bucket list. Thank you for this helpful post that I can look forward to when planning my trip, bookmarking this. Thank you for your comment. I hope my reference guide provide some value for your future trip to Japan. I have always wanted to visit Japan so I would definitely love to do this. I would definitely use this as a guide. I hope this will give you some reference guide. Great. Very ideal ideas on a travel. Thanks for sharing it. So glad came across your post today. Hi, thanks for sharing ur travel itenarary. Could I check when the Kyushu trip was made? And do u think it’s worth it to go both Aso Farmland and takachiho ranch? It depend, if you are traveling with small children, it is worth to go. But if you just like to choose one, then go Aso san as there are more interative animals for the children to feed and touch, those animals are pretty nice to human, non aggressive. I love the capybara in Aso farmlands, so adorable and running around. The Kyushu self drive was done about 3 years ago, covering all the prefectures in Kyushu Island. It if is snowing, you may need snow tires and chain. Do check with car rental company and tell them you are going up to Mount Aso. It can be quite foggy in the end of Dec. You may want to consider staying in Aso Farm Land Resort (Igloo house). The onsen there looks super fun and plenty of activities to do around. I love the animal farm as there are many animals walking around for you to pat. The Capybara is super cute. I regretted not staying there for a night so I have more time to play around. I needed to leave at around 4plus to Kumamoto city before it gets too dark. Hello, you rented the car from Day 1 until the end of your trip? I will be going to Kyushu for 9D8N trip in mid-March 2019 with my wife and my 2-year old kid. I don’t know if I should rent a car. We would like to visit Kumamoto, Mt Aso, Takachiho Gorge, Miyazaki and Kagoshima. Thanks for your questions. I would highly recomending you to rent a car since you have a 2 year old boy. It is worth to do it since you are visiting quite a few places in Kyushu. About 4-5 Prefectures. I guess you are landing in Fukuoka airport. 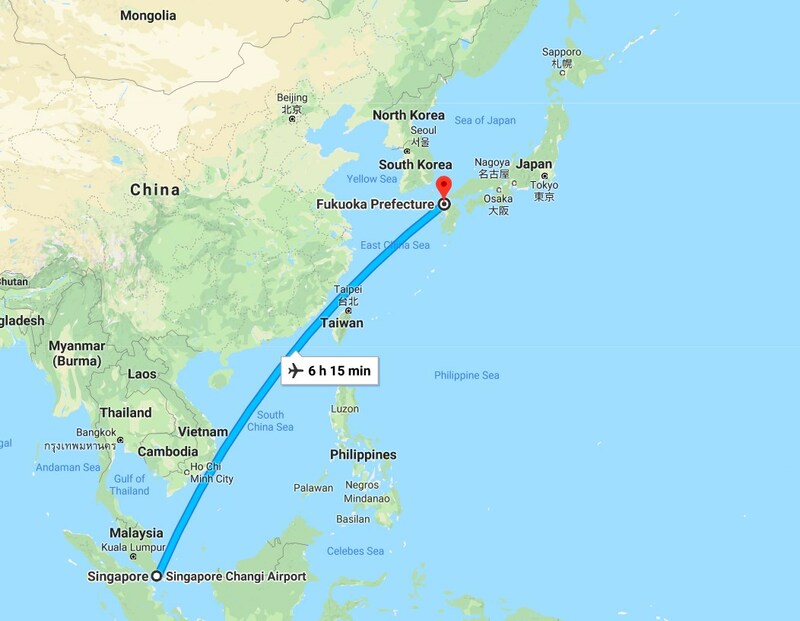 Your trip look like a round trip of Kyushu Island 🙂 Pretty cool. I would suggest you to have a stay near Mt Asa farm. The animal is great for kids as animals are running around and all very tame. Children can feed them. I love the Capybara! There are many good reason to use renting car since you have a young kid. You can even stop at supermarket and do your shopping for good ready made food. Usually there is a big car park outside the supermarket. Please also visit the highway rest area as they offer more than toilets and food. 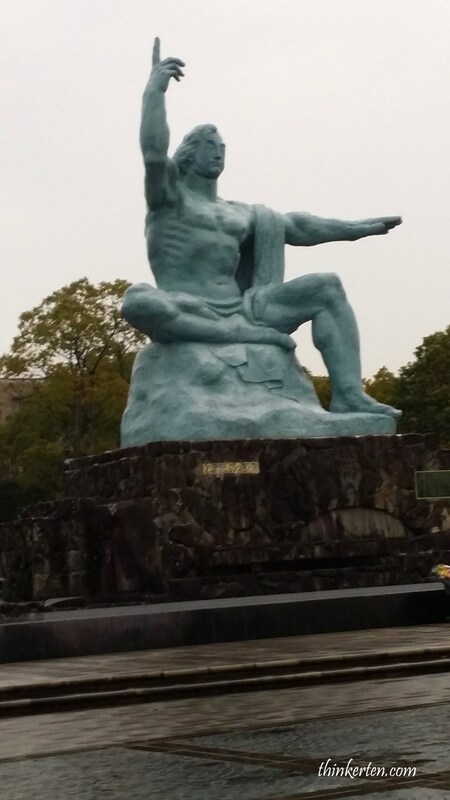 You may want to do some reseach which are the top rest area in Kyushu. Below is one of my review for Shikoku region highway rest area for your reference. Yes, renting a car for the whole 9 days is a better choice since you are going to so many prefectures in Kyushu. Thanks very much for your reply and tips! I was comparing a non-hybrid car (Mazda 3 Hatchback) versus a hybrid Toyota Prius. The Toyota Prius costs 13k Yen more in rental fee. I am not really sure whether it is really worth paying 13k Yen more in rental fee just for a hybrid? What do you think? How much is a litre of petrol in Kyushu if you remember? I am also trying to find out the cost of parking in Kyushu if you still remember? Thanks for your questions. I am sorry for my late reply as I am on the road from Mid of Dec till now and I was not able to check my mail during that time. The 13k yen is about 130 USD which is quite a big difference so you may want to reconsider and do more research on this. When I was doing Kyushu road trip, I have a choice of not using hybrid so I did not go for it as it cost more that time. However, when I was doing the road trip to Kansai & Shikoku a few months back (in October), there is only hybrid car so I took up the hybrid car. The total cost for petrol for the hybrid car for 9 days, the average of 3 hours of driving on the road daily is 7000yen (about USD70) for the total journey. I hope this work as a guide for your booking of the car. I remembered the parking in Kyushu did not cost me much as I usually drive away from the city. Most of the hotel I stayed provide free parking. Supermarkets and family restaurants in Japan usually provide big parking space in front of their premises and usually is free, do take advantage of that and go in for the meal. I hope this reply reaches you before your departure. Once again, apologized for the late reply. Ganbatte! Thanks for your info! Very helpful!!! Thanks for your no frills and simple advise on the topic, its definitely a confidence boosting article on self driving tour in Japan. Thank you for your kind comment. 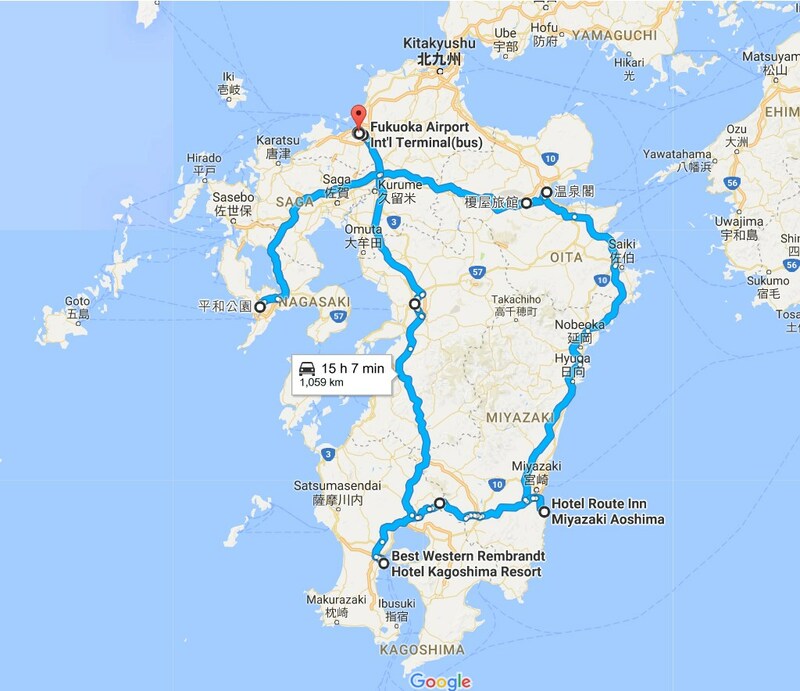 Kyushu island is one of the easiest regions to do self-drive in Japan.